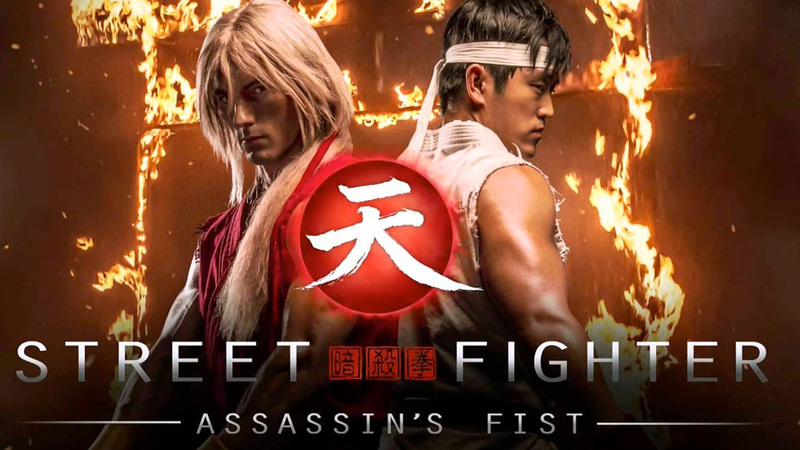 Witness the origin of the legendary fighting characters in Street Fighter Assassin’s Fist. We flash foward in this prologue to find best of friends and bitterest of rivals Ryu & Ken face off in a potentially lethal showdown. How did it come to this? Begin the journey to find out! As Ryu and Ken near the end of their training they are impatient to master the power of ‘Hadō’. Their Master, Gōken, worries about sharing this powerful technique. Gōken sets Ryu and Ken on a quest to find Gōtetsu’s Dojo where he trained. At Gōtetsu’s Dojo Gōken, Ryu and Ken pay homage at Gōtetsu’s grave. Ken and Ryu discover something secret in Gōken’s past. Gōken recalls his own time spent training alongside his brother Gōki under their Master Gōtetsu. Ryu and Ken fight! In the past, Gōtetsu instructs the young Gōken and Gōki. Goki is drawn to the power of ‘Satsui no hado’. In the present, Ryu and Ken try to create their first Hadōken. Gōken is disturbed by Ken’s approach and they argue. Ryu and Ken learn more about the history of Ansatsuken, their master Gōken and his dead brother Gōki. Ryu is disturbed and sees a foreboding stranger in his nightmares. Ryu and Ken sneak out for adventure at the G.I. Bar. Ken’s father makes a surprise visit. Ryu is unsettled by the old Dōjō. Gōken and Gōki vie for Sayaka’s attention. Gōki uses ‘Satsui no Hado’ in a sparring match almost killing his opponent. Gōtetsu gives Gōki an Ultimatum after his abuse of Satsui no Hado. Gōki and Sayaka part. Ryu and Ken continue to work on their Hadōken, but Ryu is troubled and refuses to fully manifest his. Something is learnt of Ryu’s past. A mysterious stranger appears to Gōken. In the past, we see events from Gōki’s perspective as he finds a new home. Gōken and Sayaka become estranged. Gōki’s fatalistic pursuit of Dark ‘Hadō’ takes him to new dangerous levels. Gōtetsu & Gōken seriously debate the risks vs benefit of ‘Satsui no Hadō’. Gōtetsu and Gōken consult the Ansatsuken scrolls and discuss Gōki’s departure. They question the very real potential of Ansatsuken myths becoming reality. Gōtetsu confronts a dark presence. More is learnt of the fate of Gōtetsu, Gōki and Sayaka. Ryu and Ken train, their techniques and Hadōken more advanced. As Ryu and Ken’ training approaches a climax, Gōken sets them a ‘rite of passage’ which will culminate in the greatest challenge of their lives.